Like most, I find myself thinking about 2017. 2017 was a rough year for me. Certainly it was a lot tougher than I expected at the beginning of the year. I had 2 major surgeries, spent the beginning of the year fighting debilitating side effects from hormone therapy, and lost any possibility to compete in the near future. 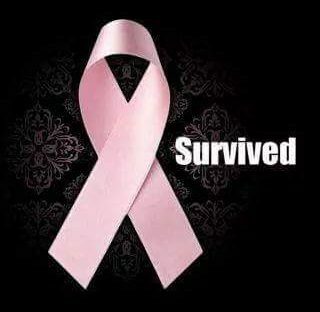 But I also completed almost 1/2 of my masters degree with a strong average, competed twice, including in open smooth and gold level, had a strong recovery, lost a third of the chemo weight, had successes at work, bought a new car, and felt my strength return for the first time since 2015. I may recognize the good easier than the bad and I accept that as a gift. Some things will continue for 2018. My degree will be only 3 months from completion, I expect work to keep progressing (especially since I can work full-time again now), recovery will continue and with it strength and weight loss. Dance will progress and while I am not going to be competing, I do have the time to focus on me and strengthen my dancing overall. Cancer taught me a lot of hard lessons, not only about life but also about myself. It showed me strength and discipline I didn’t realize I had, helped me to determine what is truly important to me and to let go of those that are not. Now, more than ever before, I can truly say that I am happy and content with where I am and where I am going. But that contentment comes more from knowing I am going some where, even if I don’t know the destination. I just want (and intend) to keep going there. I don’t know what the future will bring. I don’t know when I will compete next, but I know at some point I will. In the meantime, I will continue to learn. I was told by work I can “reasonably” expect to stay in my current geographic location for 3-5 years and I am pleased with that. I am working to make sure I am well set up for my future. The biggest takeaway from 2017 for me is reaching a point where I feel like I have a future I can look to again. While dealing with cancer, the future disappeared. Not because the projected outcome was bleak or dismal, but only because it takes so much energy to fight cancer it is necessary to keep focused on the present and take things one day at a time. You focus on treatments–when the next one will be, whether the next day, week or 3 weeks–and work to get yourself there as positively as possible. I am not sure I would have realized how important things such as dance and my work are to me if I hadn’t had to fight to keep them in my life. It gives me a different perspective on them and I fully believes shapes decisions I make about them–because I know now what is important about them. This fall, I was put in a position where I had to decide what was more important to me in dance, competing or my process for learning. I would have made a different decision in 2014, and I know I would have regretted it and possibly ended up stopping dance. I am comfortable in my decision, but also find myself a bit resigned–at least for now. I am resigned to the fact that current circumstances mean I can’t participate in dance how I would fully like to, but the circumstances are just that–current. They will change and I will adapt to new circumstances then. There will come a time when I can determine those circumstances, but it is not yet. There is a time for everything. So as 2017 comes to an end, those are the thoughts that are bringing me into 2018. My Christmas vacation started with a mission. I am not quite sure where it came from, but I started my vacation determined to purge extra stuff from my life. I actually still had things I have moved 3 times without unpacking them. They are now gone. I also replaced my bedroom furniture, something I have been wanting to do for quite some time. My old stuff had reached the end of it’s life. If you rubbed against it, you got splinters. Some of the drawers were unusable. I also replaced the shelves in my living room, mainly just for a change. In the end, I tossed out 5 contractor bags full of things plus 3 containers, I also donated 2 bags of clothes, and DVDs. I feel 100% lighter, although the process is still on-going. The old stuff has left and the new stuff should arrive in a couple hours. Then I can relax knowing I am going into the new year without a lot of excess baggage, and launching myself into a true period of renewal. It’s amazing how much just letting go of stuff (even if you had forgotten you had it) can make you feel better. On a dance note, I had my final lesson yesterday and it was indeed the final open routine, quickstep. That finishes up all the standard routines and leaves us ready to move forward in the new year. I hope next week allows for the final bit of healing I need, letting me truly launch into the new year with all cylinders firing. Never underestimate the power of a good purge. As much as I am a kinesthetic learner, I have some analytical tendencies too. I am not completely analytical, as I really don’t do well with geometry and math, so I am not paying attention to things like degree of rotation. But I do find myself enjoying exploring deep details and figuring out how they all come together. We are doing that a lot in standard right now. The focus for standard right now is a lot about how. How I step, whether straight back or forward, on an angle, in CBMP, and how I move my upper body–what side is leading forward, how much do I rotate. It’s a lot of layers together and I am enjoying it. The interesting thing is that it’s a lot of information, and it is not quite all coming together but it is not stressing me out as once it may have. I think that is because I have all the information I need and can feel my mind (and by extension my body) working to process it and put it all together. We are working through tango right now. Taking the silver sequences I have and breaking them down in detail. Working through them both fast and slow. The slow stuff is great because I can fully think through all the things I need to do. The fast stuff challenges me and forces me to work on processing it faster. It’s a different way of approaching things, but I am really enjoying it. My lessons have been all standard lately due to the issues with the stitches in my hip, but I am ok with that. I have one more lesson tomorrow where I am told we will do the final open standard routine (quickstep) and record it, which sets us up nicely for working in the new year when my stitches will be healed up. I have one week off of dance, then back at it. Looking forward to the break, but I am finding I am more excited for the new year than I have been in a long time. I will talk more on that soon. Who knew analyzing could be so much fun?? I have a difficult time admitting to my goals. I think one of the things that I personally struggle with when it comes to goals is that for some reason I feel they should be complicated and specific by my goals are and always have been really very simple. I have two. Both are more about the experience and process than any tangible thing. That’s it. There are no levels, placings, techniques or other things linked to it. It’s all about the experience of learning to dance and the experience of being on a competition floor. That is what matters to me when it comes to dance. And if I had to rank them (as recently I have had to do), then learning comes first. -Learning. I absolutely enjoy learning, whatever it is. I like analyzing, challenging myself, discovering new details and learning about myself and my capabilities in the process. It is the most important thing to me when it comes to dancing. I started with virtually nothing. In my past I have done classes in highland dance, country line dance, hip hop, and belly dance but none of them stuck because they weren’t for me (except maybe highland, but that ended because my teacher moved). One of the reasons none of them stuck–there was no one to share the learning experience with on a one-on-one basis, although if there had been, perhaps it would have been different. As much as I am learning from an instructor and having the opportunity to develop myself, there is an aspect to ballroom where I have to share with others. At some times, perhaps others even learn from me. The challenge of learning remains the most important part of dance for me and I don’t see that changing. From my perspective, the only thing that would enhance that would be the opportunity to teach that learning to others, as one never truly really learns something until they are able to teach it to someone else (of course I am very passionate about teaching, so perhaps I am biased on that). Teaching seems to be an evolution of learning. -Competing. Competing is another aspect of learning for me, and it is truly about the experience. About challenging myself to get out there and in 1:30 show what I know and what I am capable of. Its a 1:30 to share what I have learned with others and perhaps inspire them to learn too. Competing has never been about winning or placements for me. It’s been about growth, stretching myself, learning about myself, seeing what I am capable of and getting outside of box I allow myself to be in during my regular life. Competing is the one opportunity I have to get out and feel like I have achieved something, and that is before the placing or marks come it. Every competitive experience for me is an achievement and represents one moment in my life where I took a risk and got out there and did SOMETHING. The challenge of competing in ballroom is that I have to work with someone else for that achievement. I can’t just rely on myself which is my natural inclination to do. It’s a team effort and the challenge for me is to rise to the expectation of my partner and make him proud (whoever he is, instructor or otherwise) of what we are able to accomplish together. I want to feel as though I belong on the floor with the people I am competing with, and I don’t want to be the person who is automatically considered for last, but beyond that, I just want to be there and enjoy doing what I love to work for. I know I should probably have more concrete and specific goals, and ones that are more driven by reality than passion, but in the end it is just not what I want. I don’t want to limit myself. I just want to enjoy what I do. As far as learning, I have no specific goals because I don’t know what I don’t know. As far as I am concerned, what I learn next or need to focus on is up to my instructor (even if in collaboration with others). I just want to understand what I am trying to learn. There are a lot of things I want to experience within the dance world. I am back to dancing this week. That said, while the week started strongly, yesterday and today (although less today) I was just off. I can’t even really describe why. Yesterday, I did a little bit of practice to try and get my body back into the habit of moving again and almost from the beginning it just didn’t feel right. My entire body felt like it weighed twice what it does and getting any part of it to move too far too much effort. It was disappointing because Monday I had energy and a good return. Even Boss commented on my strength of movement being unexpected. We covered a lot in that lesson including a lot of detailed work on the silver tango sequence. We even ended with normal HIIT conditioning using change steps. Wednesday’s lesson just was off. I felt like I had a headache, but didn’t, that I was dizzy, but not quite, and had some vertigo. I also had some very intense hot flashes to the point I had to separate from Boss and wait for them to pass. We went over the new foxtrot open routine and filmed Boss’s part. After that, we reviewed the silver foxtrot sequence. Because of how I was feeling, we didn’t do the conditioning last night and ended with the foxtrot. Tonight was also a bit low key, but still productive. We reviewed the open routines for Waltz, Tango and Foxtrot and I wrote them down so I have them and can start preparing to learn them. We had a good conversation about my thoughts while I was healing and finished with the samba HIIT conditioning exercise. Beginning in January, we will start progressing the conditioning as I seem to have stabilized with what we are doing now, so it is time to start reducing the rest time between intervals. Despite my lessons being less intense this week, there was a lot of productivity. I think what I was feeling yesterday and today are just the usual 2-week post surgery slump that tends to happen. I am confident I will strengthen as I work through next week and continue to recover. One small disappointment from this week is that on Monday I discovered I cannot dance in contact until my chest finishes healing. The friction (which I cannot feel) causes the delicate incisions on the reconstruction to open and bleed. I have to be careful sleeping not to cause damage. I am hopeful that it will finish healing by January, but it is hard to say as it is a difficult place to heal. Until then, I will need to work on my own or out of body contact (or in latin). There are certainly no lack of options. A good week back, even if I feel like I am off. I call this ‘catching up’ because I think these are some thought processes that needed to happen back in September after my last surgery. I think Boss already reached these conclusions (and been telling me these things), but I just haven’t really had time until now to figure them out for myself (which is needed). The surgery in July triggered a huge change for me generally. I can’t really explain the full extent of the difference, except that now I can fully live through my days instead of just doing the minimum. The same applies to dance. Prior to the surgery I was in a place where I had to pick and choose what I could do and focus on and what I could do was very limited. Even when I was trying to push hard, everything was less than I expected and underwhelming. I wanted to work hard but couldn’t and was trying to adjust to that. I look at the videos from my silver test and I see a dancer who is exhausted and trying not to show it who doesn’t really reach the limits of anything due to lack of energy. The return after surgery was bigger than I could even process. I suddenly had all this energy and range of things I could do that previously just wouldn’t work. Even speed was eluding me as I found myself moving faster than I intended. I felt like I was handed all these gifts and I couldn’t figure out which ones to open, and when I did I couldn’t figure out exactly what to do with them. I still haven’t figured it out. At the time, not sorting through things was ok because I had routines to learn to get ready for a competition which gave me something easy I could focus on and really I was just continuing the work I had been doing in standard, and of course conditioning was very much (and still is) needed. Before and after the competition, I had coaching from 3 amazing coaches to process, all of which opened up the door of possibilities a lot wider than I expected or perhaps was ready for. All of the lessons showed me I am capable of doing much more than I thought I could do. One of the things that seems to be a recurring theme for me is that I have become far too cautious. There was a time for that, but it is now over. I can push to my limits again, but I haven’t figured out how to do that or how to be comfortable doing that again. It’s been a theme in my lessons and I recognize that, but until now I haven’t really been able to figure out what that means for me and how to turn it from a weakness to a strength. I haven’t been able to figure out how to frame it so doing it is no longer feels like a mistake. In short, I haven’t quite figured out yet how to give myself permission to fully explore my limits all the time. That is the main thing I have been using this time to figure out. If I don’t have the right mind-set and approach it’s not going to work. It’s been a long time since the work I have been doing in dance has ‘scared’ me. I have been doing a lot of safe and controlled things. Even working on my own, I spend so much time doing things slowly and ‘perfectly’ that a lot of them I never try at proper speed (because you can’t control as much as you can slowly). I have become a dance control freak, and at some point I allowed myself to become afraid of taking risks and being scared. It wasn’t that way when I first started dancing. I recognize that in some ways, it’s not all a bad thing. There are some things that need that control. But the problem is that I am trying to control everything and it is keeping me from stretching myself. I have become too comfortable in my ‘comfort zone’. So, I have fully come to the realization (and there were seeds before) that I need to start pushing myself outside my comfort zone on a regular basis to move forward. The biggest obstacle holding me back right now is myself. I don’t know what I am capable of anymore. I don’t even fully have faith in what others are telling me I am capable of now. All of this is to say that I have arrived. I have at least begun to understand what needs to be done to work towards new goals. It’s a combination of faith, trial and error, not holding back and facing (again) my fear of failure that tends to paralyze me at the last minute. Instead of asking myself how can I do this perfectly, I need to be asking myself how can I do this more, where are the limits of this. That’s not to say it’s going to be rainbows and puppies from now on. It’s a big change of mind-set and that takes time, a lot of doing by trying, and a lot of asking myself if I could be doing more. It also means being more willing to let mistakes happen like losing balance and more trust in myself and Boss. It also means letting go of always wanting to do slow and perfect practice and making sure that anything I do slow, I also do at speed (which is not a regular habit now). The seeds are sewn and starting to branch out and percolate. I have a week before I can return to dance after the most recent surgery, but I am starting to get restless, so it’s a good sign. It’s also been more than a week since I have had to take my insomnia medication and my sleep continues to improve. I am also only needing strong pain medication at night and should be able to stop even that by the end of the week. I am healing, both physically and I am catching up on the mental healing that began after my last surgery in July. There is nothing except time in front of me to stretch myself and reach those limits I have been shying away from. Time to let go of the dance control freak. It started off pretty rough this time. I felt fairly good the day of the surgery, but the next day I got hit with what I can only assume was a stomach virus I picked up before the surgery. I have never been so sick and couldn’t keep anything in for more than 24-hours. Thankfully it passed in 24-hours and I was able to get some food into me and really start healing. The highlight of my week was a brief shower on Friday and getting an idea of some of the results. I am still very swollen, but already, aside from the obvious reconstructed body parts, I can tell that the revisions the surgeon did were all successful. The curves at my waist match again, instead of one side being curvy and the other flat. The ‘Dog Ears’ that were sitting on my hips have been removed, and he was able to adjust my belly scar in a way that has eliminated most of the dents I had and a lot of excess skin underneath it. I can’t be sure yet, but I think that revision has also released a lot of the tightness and pulling I had been feeling in my belly when moving and working out. Finally, both sides of my chest are now more or less the same size (one was twice the size of the other). I have a lot of stitches which will come out a week Monday and a lot of bruising, which is expected, but today is the first day I am going without bandages. Tomorrow, I get to have a ‘real’ shower where I can fully wash the incision sites. I can’t wait! This surgery is surprisingly painful to recover from, likely because of the bruising. It makes it a little difficult to sleep as it hurts to lie on either hip (which is my habit) so I have to sleep on my back. That said, I am slowly exchanging stronger pain meds for ibuprofen. I have also used this time to score another small victory. I haven’t taken my insomnia medication since the surgery, and as each night goes by, I am sleeping better and longer as my body adjusts away from it. It made sense to do it now as the drowsy properties of the pain meds would help me sleep and I don’t have dance or work. It’s a positive sign that as I reduce pain meds at night I am sleeping better and I hope it continues. It’s been my goal to return to the level of medication I was at prior to my diagnosis for some time and that is the final step. As is normal, as I heal and recover I have had some time to do a bit of thinking. I could tell my brain was sitting on the edge of wanting to do this prior to the surgery, but I told it to just wait knowing there would be time after. My mind is still a little cloudy from pain meds, but I can tell that this recovery is going to involve some general thinking about dance and some re-evaluation of short-term goals–something I haven’t done in a while–at least not with any depth. I don’t see any huge changes coming, but I think it will be more of an adjustment of my thinking to better support the things Boss would like to see. Among other things, the biggest thing is a switch from a very cautious and controlled approach to my dance to one that takes a little more risks and explores the limits of what I can do, instead of the limits of what I think I can control. There is more thinking to come on that and I haven’t quite worked it out in full, but it is coming and I am sure as I can think more clearly it will come clear as well. I will write again soon, but wanted to give an update. Lots of positive things happening!